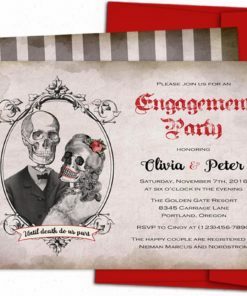 Please enter the wording for the invite personalization, line by line exactly as you would like to appear. 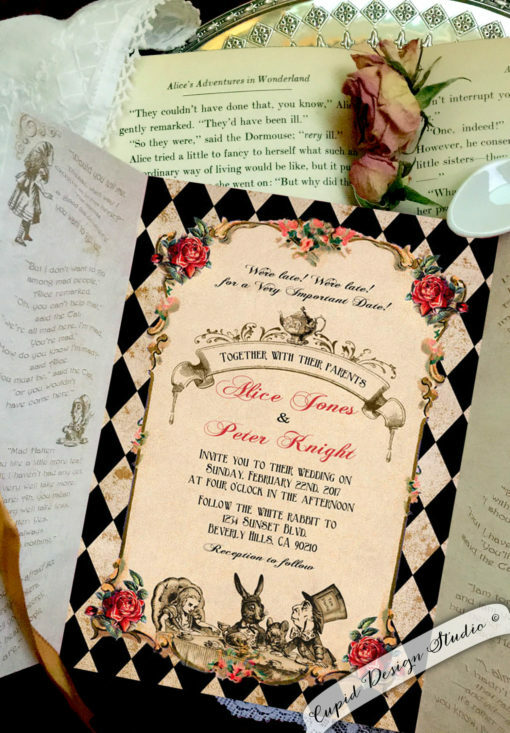 Please do not use all caps. 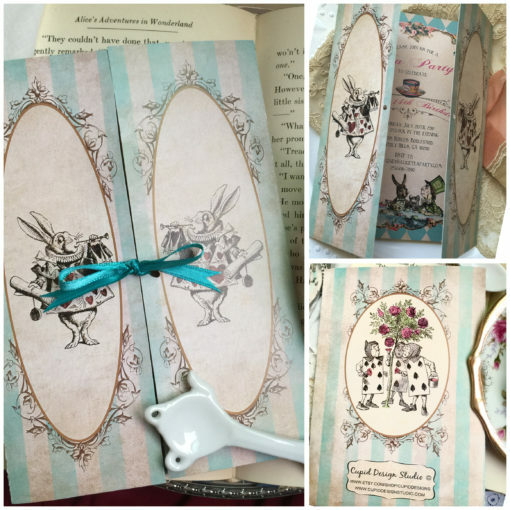 A digital proof will be emailed to you. 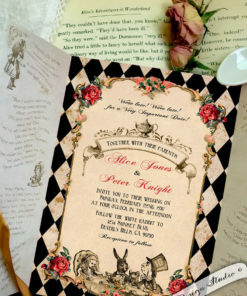 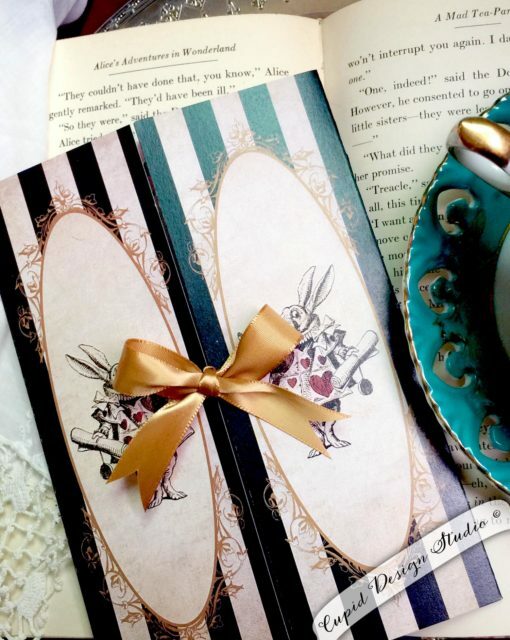 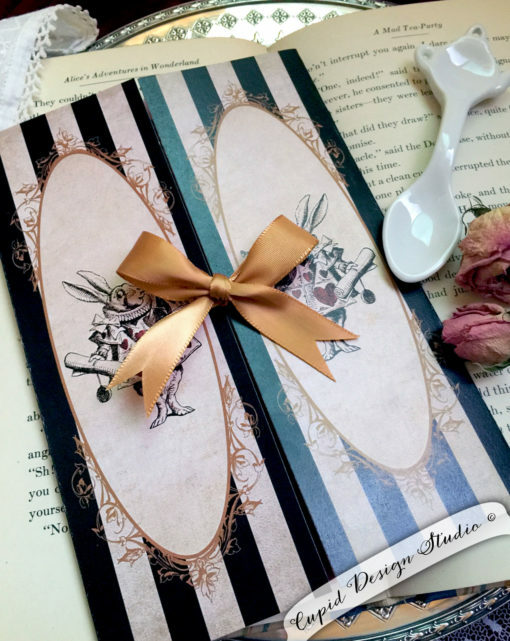 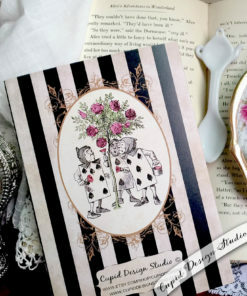 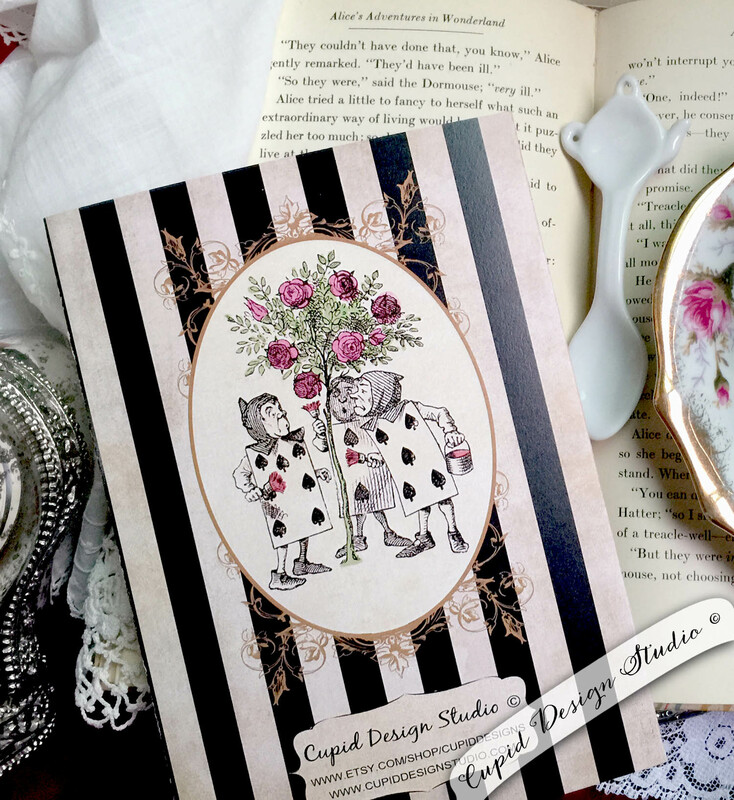 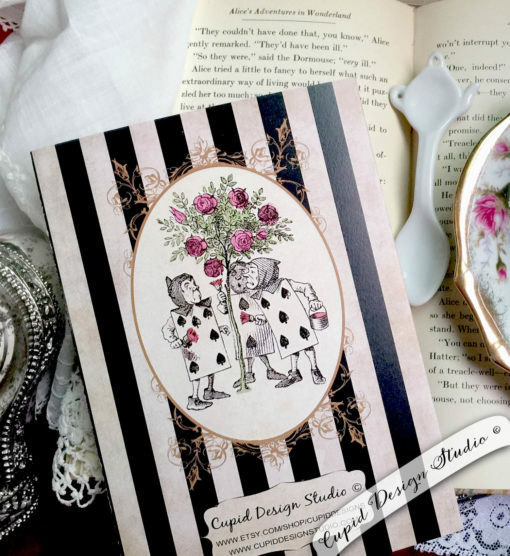 Announce your important event with these unique Alice in Wonderland invitations. 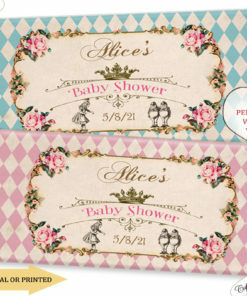 They are perfect for a bridal shower, sweet sixteen birthday party, Quinceañera, Baby shower, etc. 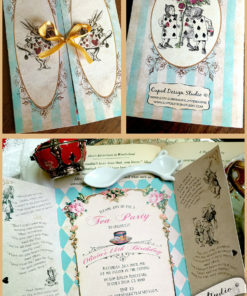 These custom designed invitations by Cupid Design Studio will be personalized with your choice of wording. 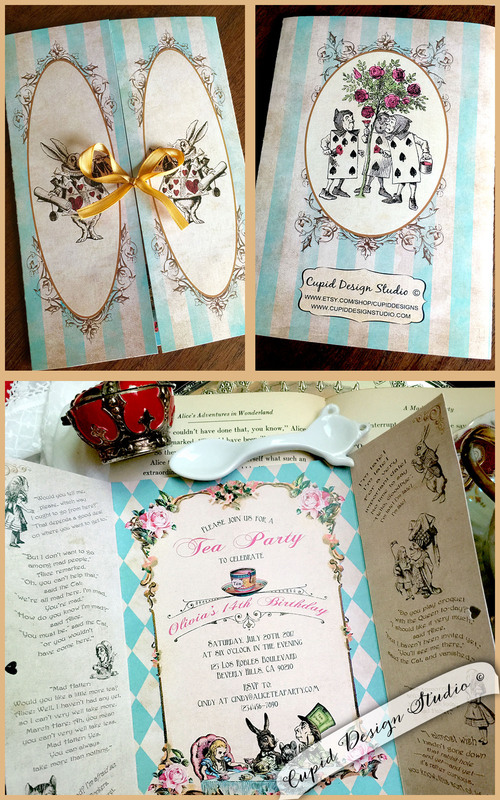 Matching items are also available to make your special occasion perfect. 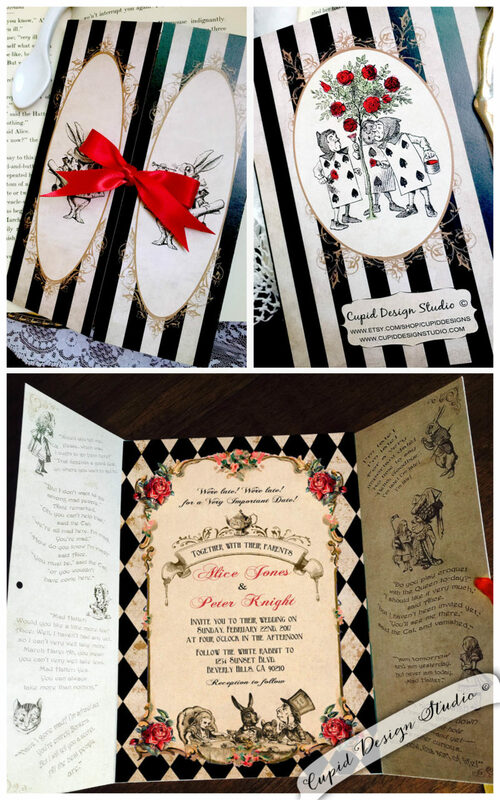 Your guests will be blown away to receive these wonderful invites in the mail and they will know your party will be one they cannot miss. 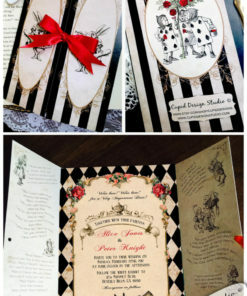 Each invitation is printed on 110lb premium quality white card stock. 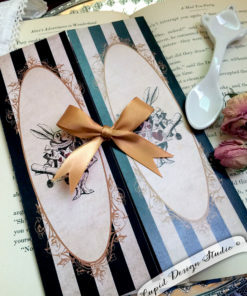 Matching premium quality envelopes in your choice of color. 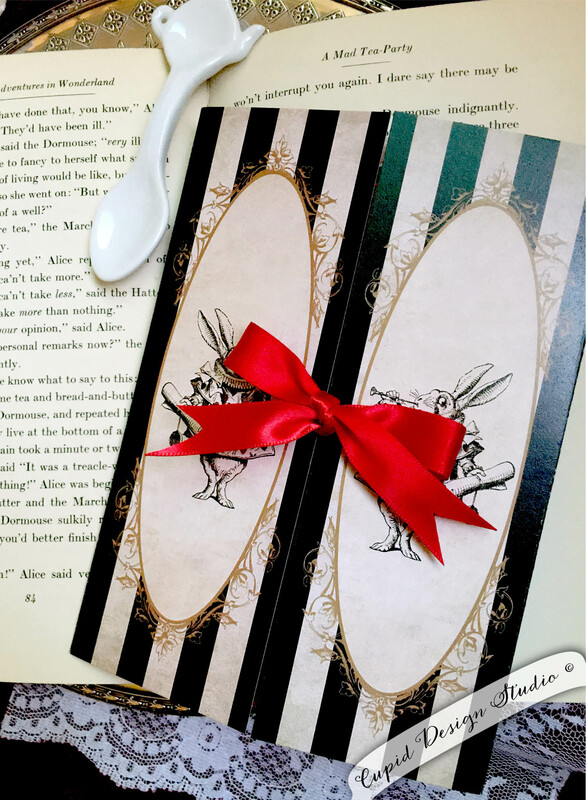 2 REVISIONS ARE INCLUDED. Once you approve the proof, I will print and ship your order. 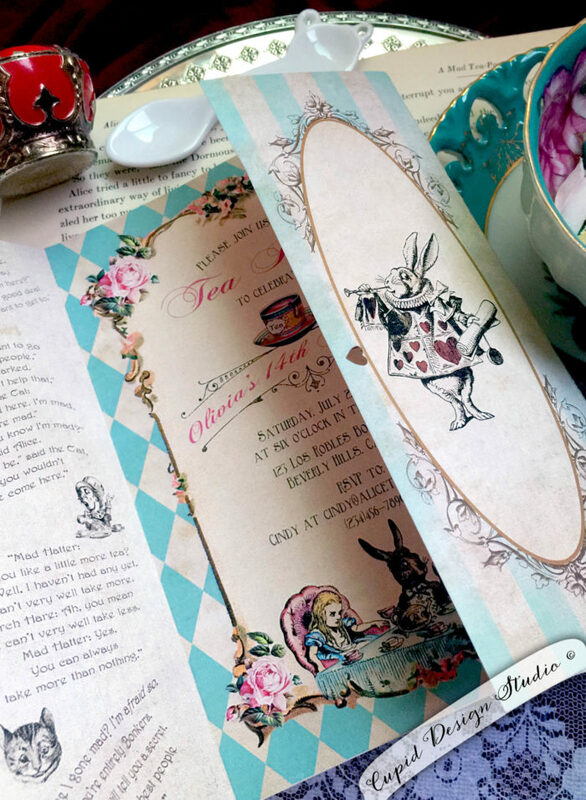 After this, NO CHANGES are allowed. 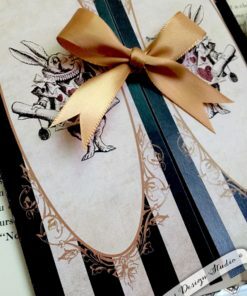 ❤ PLEASE DO NOT USE ALL CAPS when submitting wording. 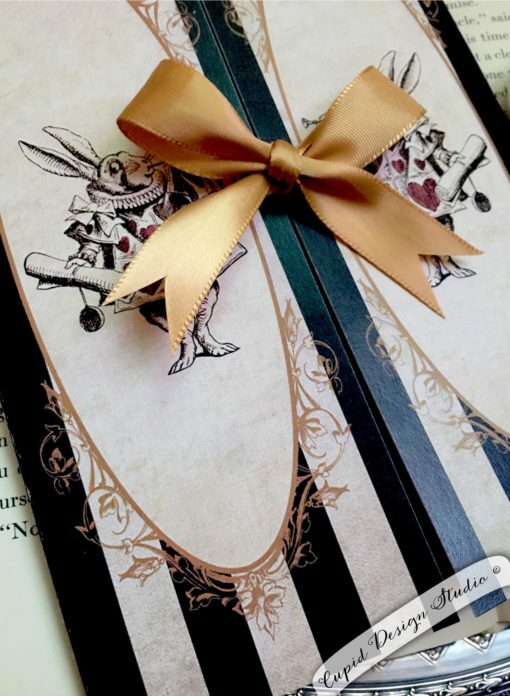 The wording you submit will be copied and pasted to your invitation. 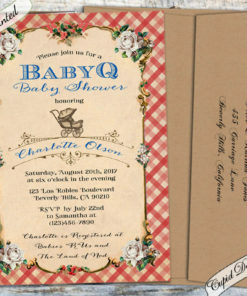 Your invitation will show the exact wording as it was sent when the order was placed. 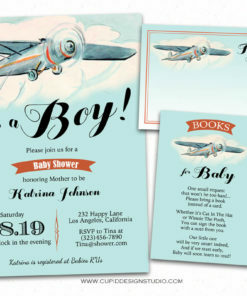 Vintage airplane baby shower invitations, bring a book, thank you card, printable or printed. 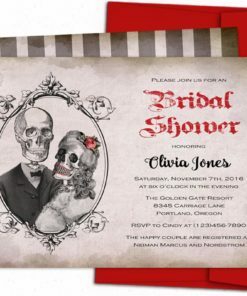 Gothic bridal shower invitations, skull wedding shower invites, Day of the dead engagement party invitations. 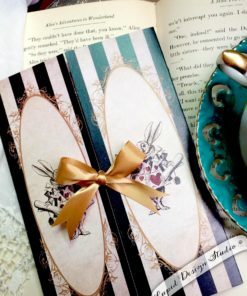 Alice in Wonderland hershey’s chocolate bar wrapper labels. 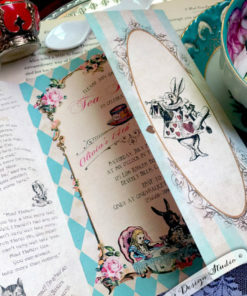 Mad hatter tea candy stickers. 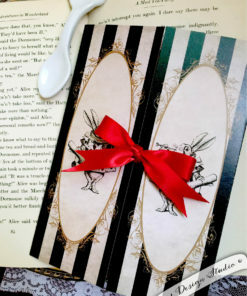 Digital printable or printed. 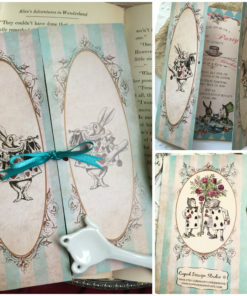 Rustic Thanksgiving dinner invitations – 5×7″ personalized deer thanksgiving invites.